Northwest NSLP500B transit levels are rugged, durable, precise and easy to use. 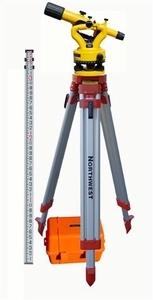 The perfect instument to fulfill the needs found on today�s jobsite. It can level foundations, run straight lines, plumb walls, turn angles and any other light construction leveling application.